Choosing a menu and foods that are pesti­cide-free, anti­bi­ot­ic-free, and free range can be expens­ive, and often I hear that is the main reas­on for not choos­ing a high­er pro­por­tion of organ­ic food. The Environmental Working Group just pub­lished a manu­al of good foods on a tight budget with tips and recipes to help make this easi­er. Click on the entire book, or just look at the recipes! 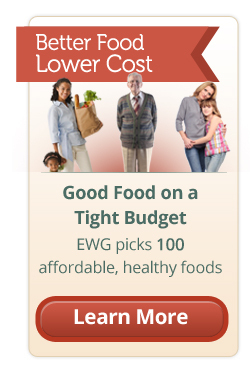 Even if you can’t eat organ­ic­ally all the time, at least 10% few­er foods is a major step in the right dir­ec­tion.